Joli Vyann return to Circomedia following two sell-out previous shows. Their latest work Anima, explores the delicate connection between two people breathing an emotional upheaval. We are the leading circus provider in the South West and attracts the very best contemporary circus from across the globe. 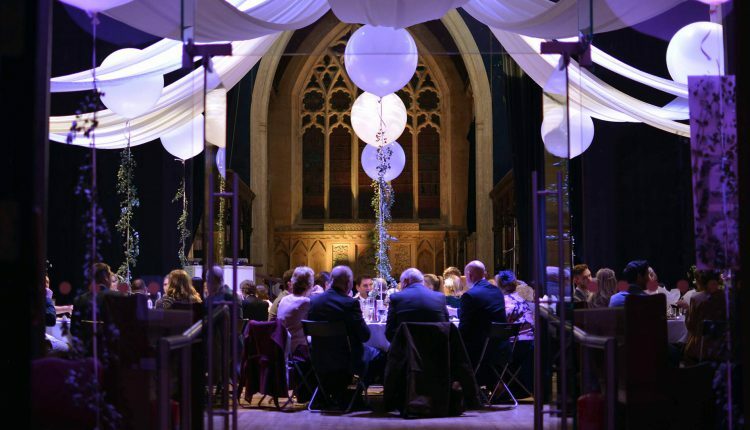 Our unique venue allows us to show exceptional theatre in many different ways. Our season is always full of some of the finest theatre and physical theatre from across the UK and beyond. We believe theatre and circus is for everyone and so always try to include exceptional family shows to reflect this in our show programme. 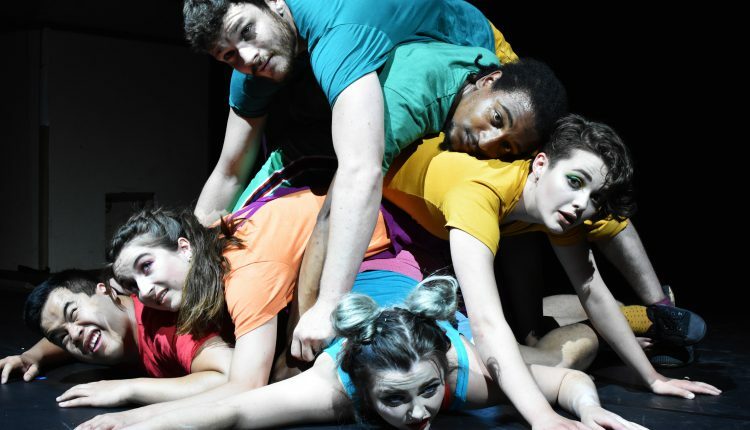 We champion excellence in dance and performance and we are one of the main venues in Bristol offering a diverse range of contemporary dance and performance. With over 24 weekly classes we have something for everyone. They cover a range of aerial and acrobatic disciplines and are designed to cater for all levels and are based at both our St Paul’s and Kingswood campuses. 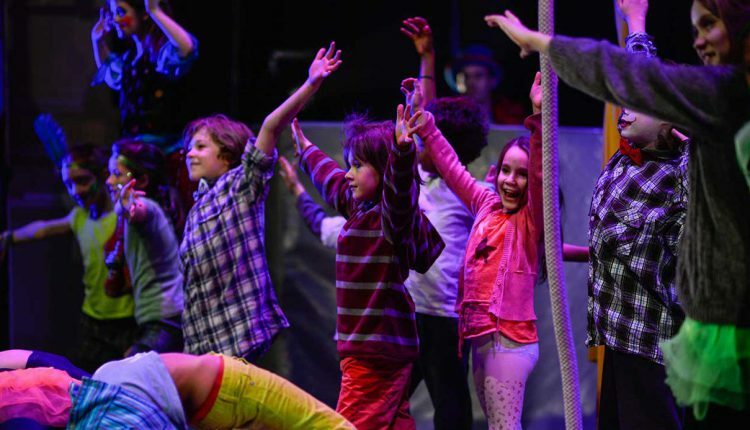 Circomedia’s Youth Circus in Bristol offers children aged 4 – 17 the chance to enter the extraordinary world of contemporary circus and physical theatre. Our groups cater for all different ages and abilities and you don’t have to have previous experience. 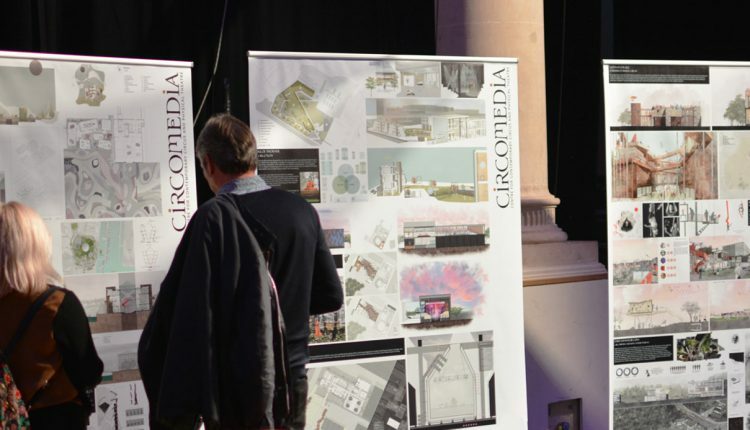 Keep up to date with all of Circomedia’s offers, receive our newsletter, and be the first to hear of upcoming sales and events. 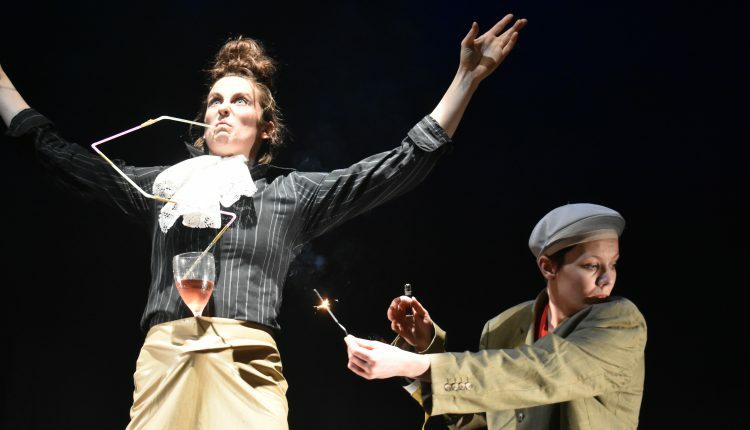 Egg is an original aerial theatre production that explores female fertility, sexuality and choice. Testing Ground is a chance for dancers and choreographers to show you some new ideas. Each dance artist or company will present a short extract of a show they are currently working on. This May will see the return of the annual Youth Circus Showcase in our spectacular Portland Square venue. All the stars of the circus had to start somewhere, and our youngest students begin their circus training by learning the basics. Classes for circus performers graduating up from our younger classes, or swinging from the trapeze for the first time. 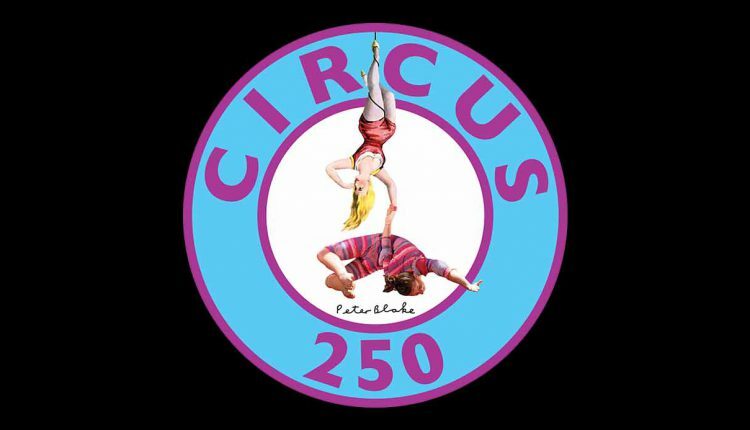 Welcome to the first ever Pride Circus Night, a spectacular evening in partnership with Circomedia as Bristol Pride rolls up to put on a show and celebrate the 250th anniversary of circus. 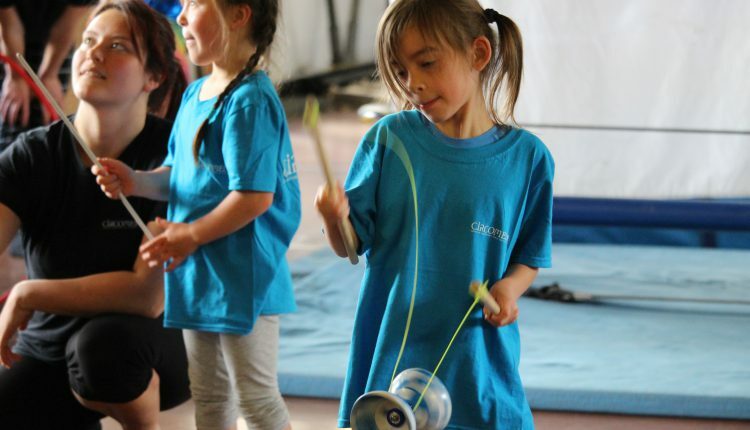 Advanced Youth Circus classes for our developing circus stars, and a brand new group for older children who are complete beginners to circus. Launch Day is a celebration of the working class and shipbuilding in all its industrial glory. Inspired by the paintings of artist Alexander Millar. The elegant and intense skill of static trapeze is a great introduction to the world of aerial circus, and a high-level performance discipline in its own right. 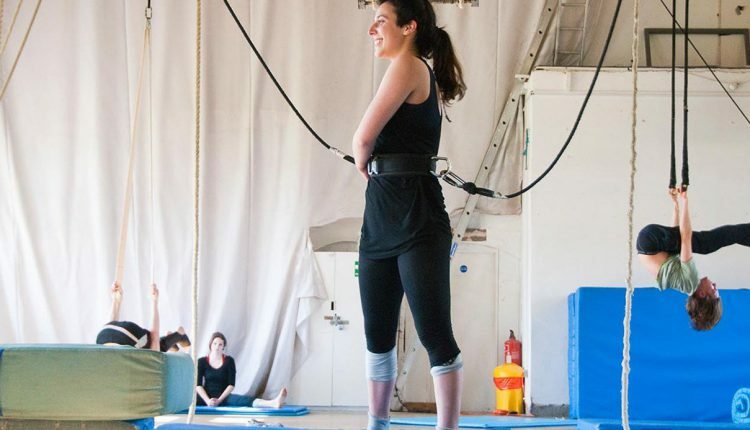 In this class you will learn the basics of Duo Trapeze. Newcomers will build strong foundations and a firm knowledge to apply to more advanced moves later on. Those with some experience already will tighten up basic skills, and then look at further challenging and dynamic tricks. Just because it’s doubles, it does NOT mean that you have to already have a doubles partner. This is a class for those who wish to learn the very basics before moving into a beginner’s improvers class, or for those who want to recap the basics again. Ideal for those who may not be used to physical classes, or want to build the confidence to start with a ‘beginners’ group. A perfect mixed aerial class is for those who wish to learn the very basics before moving into a beginners/improvers class, or for those who want to recap the basics again. This class is ideal for those who are looking to advance their skills in a more challenging environment. If you have done a few beginner courses and are comfortable with footlocks (in the air) then this class is for you. You will work on sequences in and out of footlocks and hiplocks. Class-size is limited to eight participants and classes last 90 minutes. 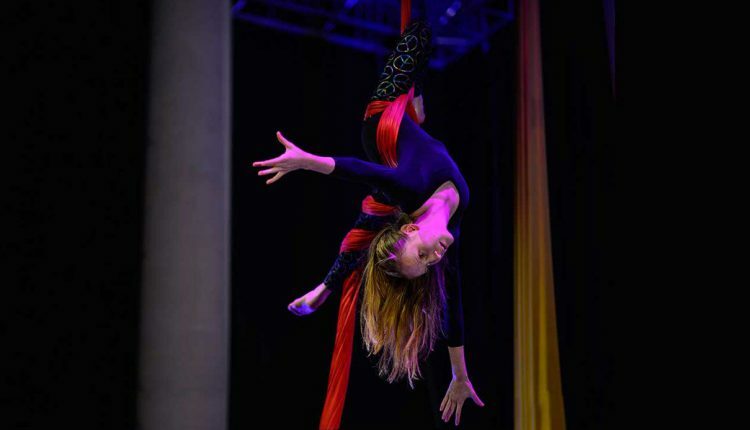 Silks are a visually stunning discipline and an excellent way to develop aerial skills across the board. This class is ideal for building confidence in the air. Some experience in static trapeze or another aerial discipline would be an advantage but is not a necessity. All welcome. Silks are a visually stunning discipline and an excellent way to develop aerial skills across the board. This class is ideal for building confidence in the air. Some experience in static trapeze or another aerial discipline would be an advantage, but is not a necessity. All welcome. 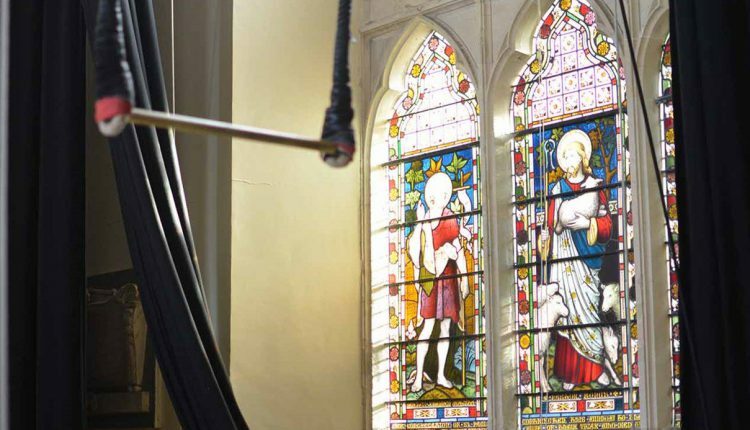 These sessions will give improver aerialists and trapeze artists the opportunity to develop their skill and technique on the Grand Volant. If you have some experience in an aerial discipline, this course will allow you to push your skill level on the Flying Trapeze. The ultimate in aerial skills, tailored for beginners. Come and have fun learning to fly on the only full-sized Grand Volant in the South West open to the public. You will learn to fly across to the catcher and back to the platform. Flying Trapeze is perhaps the most spectacular aerial discipline, incredible both to watch and perform. Opportunities to experience this remarkable apparatus are few and far between – Circomedia is one of the only centres in the UK with a full-sized, indoor rig. A series of one-off classes especially for ages 10-18 to try this most spectacular of aerial disciplines. Adults flying trapeze class, all abilities welcome. For complete first-time flyers, beginners and those with previous experience of flying trapeze. This is a fantastic opportunity to have-a-go on our full- sized rig, led by professional Circomedia staff, maximum eight people per session. The ultimate in aerial skills, available for all abilities. Come and have fun learning to fly on the only full-sized Grand Volant in the U.K. open to the public. You will learn to fly across to the catcher and back to the platform. 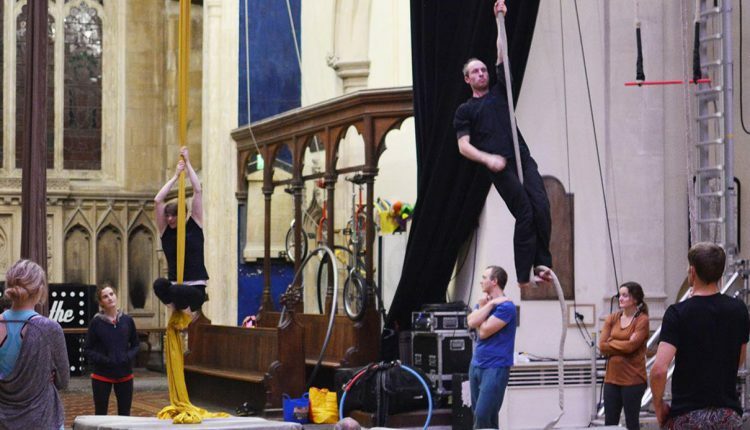 Ideal for aerialists with some experience and recommended for rope and silks practitioners at Intermediate level and above. Lyn will help you refine your technique, create new repertoire and begin to experiment creatively in your discipline. This is an intimate class in the beautiful St Pauls Church. Silks are a visually stunning discipline and an excellent way to develop aerial skills across the board and build your confidence in the air. Aerial rope, known as ‘Corde Lisse’, combines the dramatic poses of acrobatics with gymnastic ‘drops’ and movement in the air. This class, which gives you the opportunity to try both disciplines, is ideal for beginners. Some experience in an aerial or physical discipline would be an advantage but is not a necessity. All welcome. Aerial Hoop is a fantastic way into the world of aerial circus and a high-level performance discipline in its own right. If you already have some experience of hoop, or have completed some Beginners Hoop blocks, this class will help take your skill to the next level. 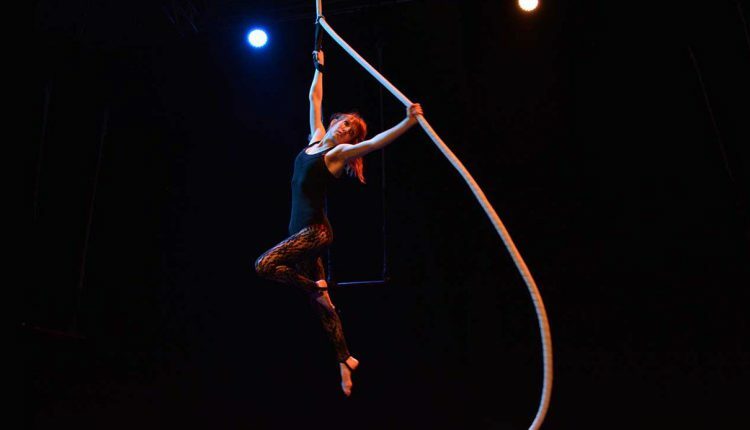 Aerial Hoop is a fantastic way into the world of aerial circus and a high-level performance discipline in its own right. This class is ideal for beginners, or those with some experience in another aerial discipline. Interacting with a hoop in the air offers all sorts of opportunities for beautiful and elegant performance, as well as strengthening your core. Static Trapeze is both a fantastic way in to the world of aerial circus and a high-level performance discipline in its own right. This class offers a great starting point for anyone interested in exploring the form. Teacher Sarah is from a gymnastic background, and ensures that her students have a clear understanding about what is keeping them safe, and what looks good in the air. 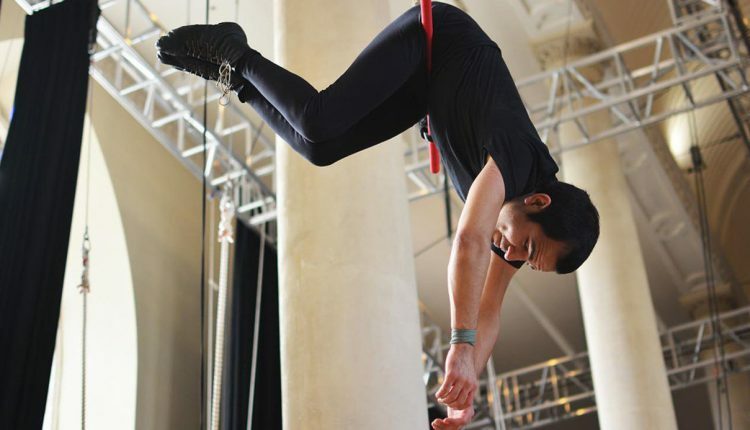 Whether you’re an aficionado of the trapeze or have never graduated beyond a roly-poly, our circus classes accommodate all levels of expertise. 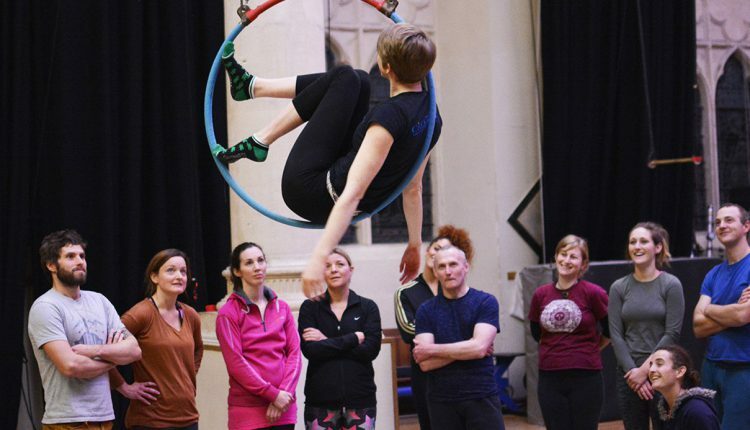 From complete beginners taking their first tentative steps into aerial, to those of you who long ago mastered the ropes, our excellent teachers will help you discover and develop a passion for circus skills. These visually stunning disciplines are both excellent ways to develop your aerial ability and build your confidence in the air. 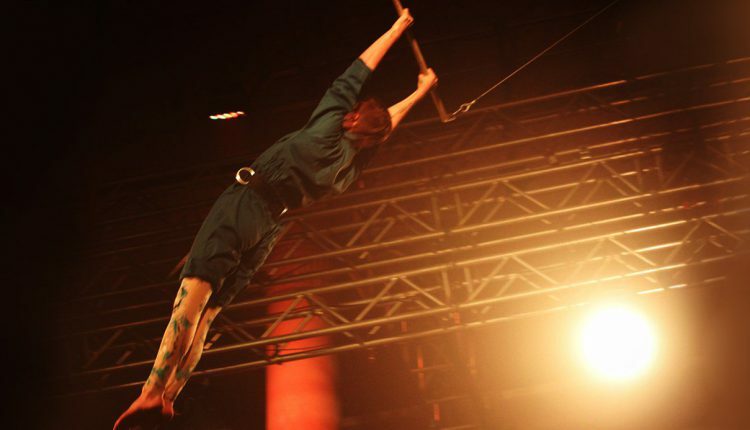 A chance to discover the most dramatic aerial circus skill on the only full-sized indoor rig in England, and one of only two in the UK. Versatile classes offering the chance to improve your balance, fitness, body-control, and acrobatic technique in a playful and supportive setting. A visually stunning discipline that combines elegance and grace with core strength, allowing you to improve your aerial skills and confidence. 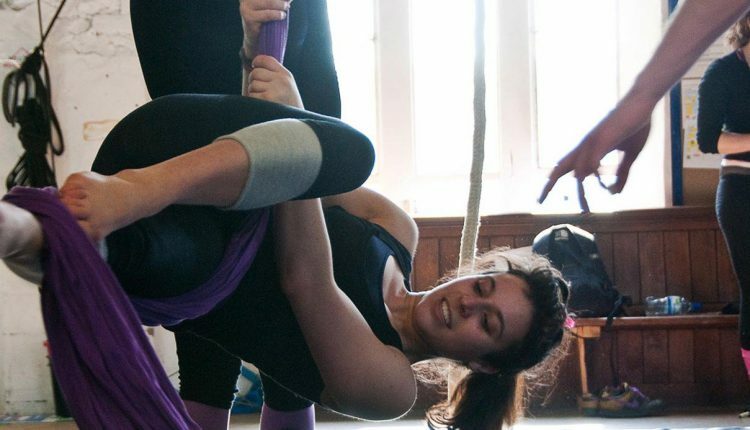 An opportunity to discover trapeze, ropes, silks, and hoop, mixed aerial is a brilliant introduction to aerial circus and a chance to find your aerial calling. A chance to learn the basics of doubles trapeze, building strong foundations in order to progress to more challenging and dynamic tricks. Self-led sessions giving you a chance to develop your own skills and push your own practice forward, with tutors on-hand to support and guide.